Are you a spirits enthusiast? Want to experience a true behind the scenes day at the distillery? We are always looking for volunteers to help out on bottling days! 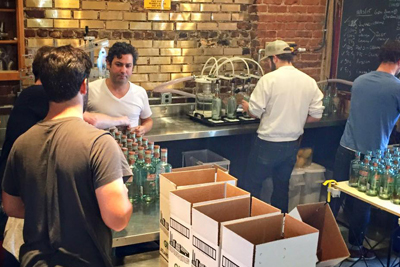 You will be involved in every aspect of bottling our spirits from start to finish. Sign up here to be included in our database of potential crew, and check back here often for updates. Participants are chosen at random and you will receive an email a week before bottling day. Please RSVP as soon as possible. Bottling days usually last from 9am-3pm. All crew members must be 21 years of age.